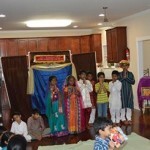 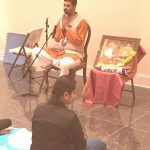 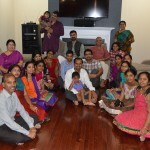 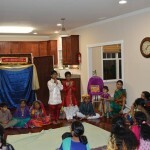 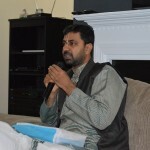 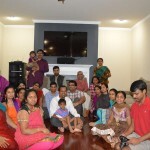 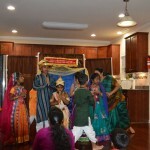 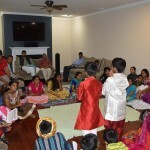 By the immense grace of Sri Swamiji, Raleigh satsang devotees were blessed by Sri Ramanujamji’s first visit to Raleigh. 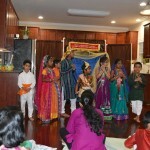 On Wednesday, October 8th 2014, a wonderful Gopakuteeram program was conducted at the residence of Sri.Ravi and Mrs.Daksha. 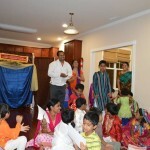 Around 30 people attended the event. 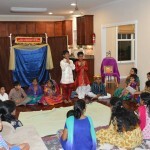 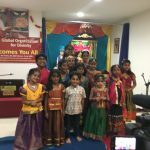 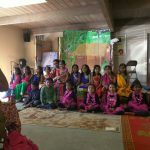 The kids recited “Guru Ashtakam” and “Hanuman Chalisa” and also enacted a musical skit on Damodara Leela in the presence of Sri Ramanujamji. 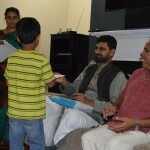 Sri Ramanujamji then addressed the parents on the importance of inculcating the kids with moral values. 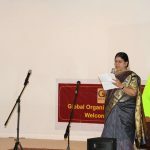 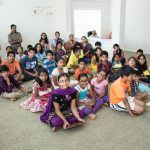 He also advised the parents to teach the kids “Hanuman Chalisa” and “Aditya Hridayam” as these are verily two pearls which gives the kids mental stability and right attitude towards life. 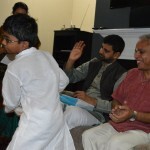 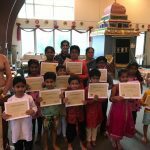 Sri Ramanujamji distributed certificates to all the kids.